How to file your notes? Looking for notes in your notebook or notepad can waste precious time. 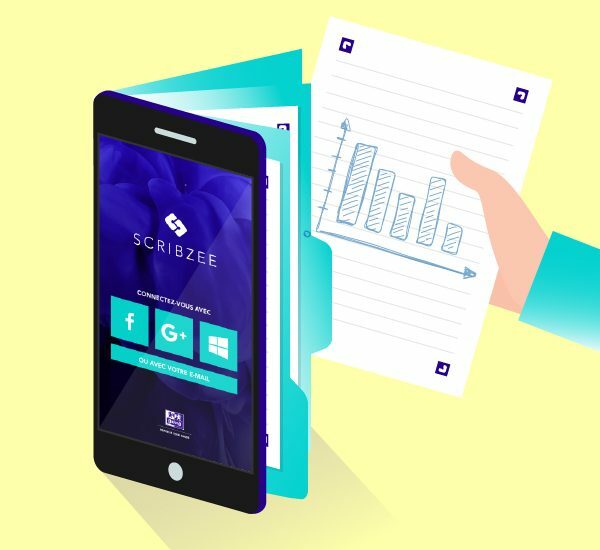 With SCRIBZEE®, you can create accurate and perfectly legible scans of your lecture notes, meeting reports and to-do lists that you can also file by topic.Your notes are then accessible on your smartphone or tablet, at any time, wherever you are and for as long as you need them. Once the scan has been performed, select from the main menu of the application. Then select to add a new folder. Choose the name of your folder. Go back to the main menu and select , then retrieve the note you wish to file. Then select to access the note menu. You can rename it by selecting . Finally, file your note by selecting move and choosing your destination folder. Your note has been filed so it is no longer visible in the IN PROGRESS folder! Previous Post:How to scan your pages? Next Post:Looking for an easy way to share your notes?